For those who do not know, WEMAX is an Asian company specializing in the production of video projectors. And as a tradition of Xiaomi, the Chinese colossus thought well of turning it into its catalog of cooperation. 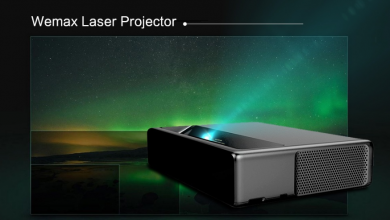 The Wemax One Pro laser projector, released as the first ultra-short projector that uses ALPD technology (advanced laser display), can project high-definition images up to 150 inches across 50 centimeters. In addition, you get a service life of about 25,000 hours. While the market is replete with high-quality laser projectors that offer comparable features, they are not cheap. On the other hand, Wemax One Pro is now sold at a high discount on GearBest. The Wemax One Pro laser projector usually costs you a lot of money online as well as in stand-alone stores, but now you can buy it at a reduced price for just $1889.99 on GearBest. This is a remarkable 21% drop in the device’s original retail price. The high-tech Wemax One Pro is a completely irresistible laser projector at this price, given that it uses a compact minimalist “design” to provide convenient location and use. It can be easily controlled. In addition, finding and switching your favorite programs is a great pleasure, as it comes with a voice assistant and many other interactive features. Manufacturer: Fengmi (Beijing) Technology Co., Ltd.
From the first sight you may think that the Xiaomi WEMAX ONE PRO projector is an expensive product, but believe me its worth the price. Also, note that the battery is not included with the product.